At this year's PC Gaming Show, The Sinking City developer Frogwares Game Development Studio rolled out a gameplay trailer for their Lovecraftian-influenced title. Due for release on March 21, 2019, The Sinking City is set in the roaring '20s. Players take on the role of a private investigator charged with uncovering the supernatural force that has taken control of Oakmont, Massachusetts. Okamont has seen better days: Besides being the plaything of supernatural entities, the city has been ravaged by floods. 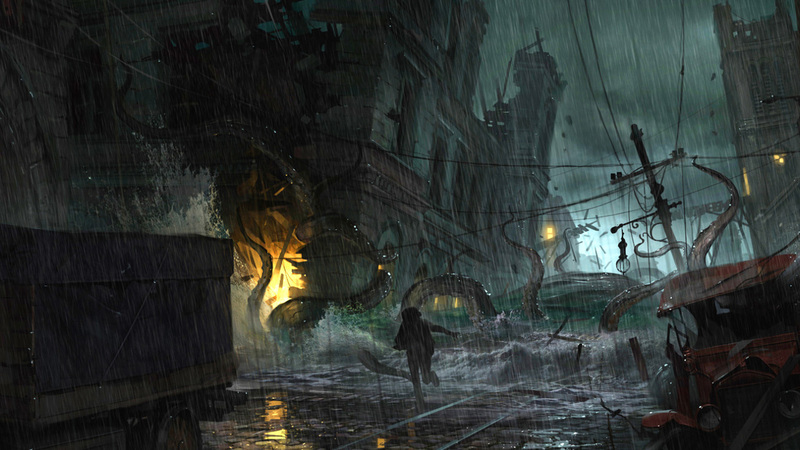 Frogwares and publisher Bigben Interactive are billing The Sinking City as an open-world game containing elements of adventure and investigation, which dovetails nicely with the player's identity as a P.I. We caught up with Frogwares Community Manager Sergey Oganesyan at E3 2018 to learn more about The Sinking City's mechanics and systems, such as the myriad types of content that will be available for players. Oganesyan also shared that the world is made up of 4,000 buildings, hundreds of which will be fully rendered to give players lots of scenery to explore. The Sinking City will release next March for Xbox One, PS4, and PC. The whole article is this..
Why did I bother clicking? You did it for Shacknews!